Justin, TX – March 1, 2017 – Variance eSports, LLC (Variance GamingTM) is pleased to announce a partnership with Cinch Gaming.  Variance eSports, LLC (Variance GamingTM) has made a decision to partner with and utilize Cinch Gaming pro tournament controllers. Team Variance GamingTM believes that Cinch Gaming brings best of breed design and quality to their custom tournament controllers. “I feel that Cinch controllers have given me that millisecond edge that is needed when entering a gun fight. In this game, a millisecond could be the deciding factor in a clutch kill for the win or a last kill for the loss.”, says Wes Jordan, member of the Call of Duty Infinite Warfare team. Cinch Gaming is a leader in providing the best gaming experience to both professional and casual gamers alike. Pushing the envelope of innovation and technology, Cinch offers unparalleled customization options, premium ergonomic tournament buttons, patent pending full range internal trigger stop adjustment, rubberized grip, and four-button remapping technology. With unrivaled customer service and support, it’s easy to see why gamers around the world are Making it a Cinch. Established in 2017, Variance GamingTM was started by retired pro PC gamer, James Bowling. James currently coaches the Variance GamingTM teams and is the Principal Manager of the organization. Variance GamingTM has taken a different approach to their entry into the professional gaming circuit in that we are attempting to cultivate and groom the next up and coming eSports talent. Taking this approach allows for us to build a roster that has a true love for the games. We strive for excellence, professionalism, and the highest levels of sportsmanship possible. Variance eSports, LLC | Variance Gaming™ © Copyright 2017-2019. All Rights Reserved.